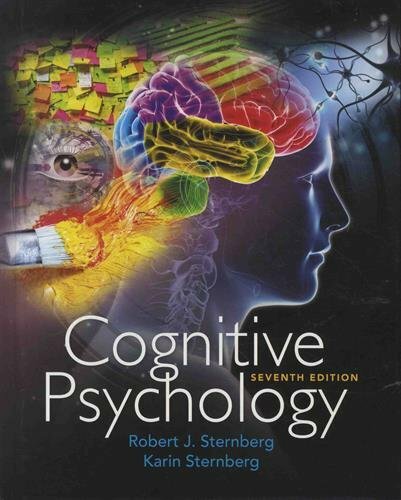 Now in full color to better engage students and facilitate their grasp of the material, COGNITIVE PSYCHOLOGY, Seventh Edition balances accessible writing, practical applications, and research scholarship while interweaving biology throughout the text. Utilizing the theme that human cognition has evolved over time as a means of adapting to our environment, the authors explore the basics of cognitive psychology by covering cognitive neuroscience, attention and consciousness, perception, memory, knowledge representation, language, problem solving and creativity, decision making and reasoning, cognitive development, and intelligence. In this edition, content on human intelligence is consolidated in a new final chapter. The authors provide the most comprehensive coverage of any cognitive psychology text available, using a "from lab to life" approach that aptly discusses theory as well as lab and field research while continually highlighting the applications to everyday life.